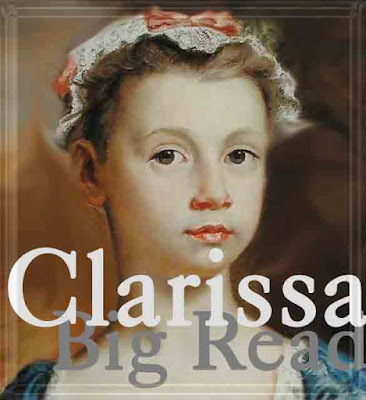 The Grub Street Lodger: Clarissa Review, April...Apology. This is the bit where I should be writing my considered views on the April letters from Clarissa, but where I'll have to make a grovelly apology for not doing so, as I am not nearly far enough through April to get an idea. However, I am not yet out this game, I will defeat this chunk of stagnant words and do a bumper April/May post. Check out the struggling survivors here. I'm surprised I'm still on track, but April was much better than March so I'm hoping it gets more interesting as we go. Good luck finishing up April! No worries, Adam. I'm only at letter 88 and the dates were supposed to be a rough guideline. I'm hoping to catch up in May, but making no promises. We'll all get there eventually. Hang in there! It does get more interesting as April progresses.